After coming ever-so-close in 2016, the Indians are the sleeping giant in this year's playoff field. Could this finally be the year in Believeland? This is one of our nontraditional 2018 MLB postseason previews. To see the full slate, head to our preview page. Two years ago, when the Indians played the Cubs in the World Series, the baseball world was torn. The Red Sox had long since exorcised their demons, winning three championships in 10 years, and the two remaining MLB teams with the longest championship droughts were playing each other. Only one could win. Most otherwise disinterested fans sided with the Cubs, who seemed to be The Most Cursed Team in Baseball over the past hundred years or so. Through the first four games of the series, it did indeed look like the Cubs were destined for failure once again. But then somehow, against all odds, the Cubs came back and took three straight from the Tribe to win the World Series for the first time since 1908. 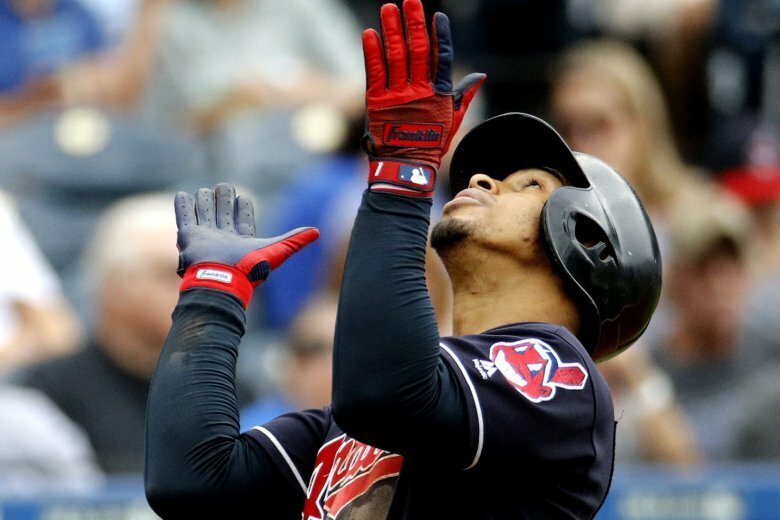 Despite a clubhouse full of young, exciting, dynamic players like Francisco Lindor, Jose Ramirez, Jason Kipnis, Rajai Davis, Cory Kluber, Cody Allen, Trevor Bauer, Andrew Miller and Yan Gomes, the Tribe seemed to run out of gas in Games 5 and 6, setting up what turned out to be a showdown for the ages in Game 7 … a four-and-a-half hour, 10-inning affair that the Cubs finally won 8-7. We Tribe fans were left to try to figure out what went wrong … again. How do you go up 3-1 and lose the series? And yet after so many years of futility, heartbreak and — through the ’70s and ’80s just plain awful baseball — we’d almost come to expect it. But no more, not this year. This year is going to be different. This year it’s finally going to happen. This year WE will be America’s feel-good team. With all those great players mentioned above, plus .309 hitter Michael Brantley, recent acquisitions Josh Donaldson and Melky Cabrera, a healthy rotation with four 200-strikeout starters (Kluber, Carlos Carrasco, Bauer and Mike Clevinger — the first team in MLB history to accomplish that) and a deep bullpen with two solid closers and the best setup guy in the game in Andrew Miller, the Indians are finally ready to end the drought and win the Series for the first time in 70 years. It won’t be easy. First they’ll have to knock off the reigning WS champs, the Astros, in the Division Series. Then they will likely face either the Yankees (who knocked the Indians out in the Division Series last year) or the Red Sox — with the best record in baseball and one of the most talented teams in that storied franchise’s history — in the ALCS. But the Indians are 4-3 vs. the Red Sox this season including winning two of their last three. They can do this. And who knows … maybe they’ll get a chance for revenge against the Cubs in this year’s World Series.